South Carolina scored 21 unanswered point in the first half, all in the first quarter, to take a 21-0 lead into halftime against Georgia. 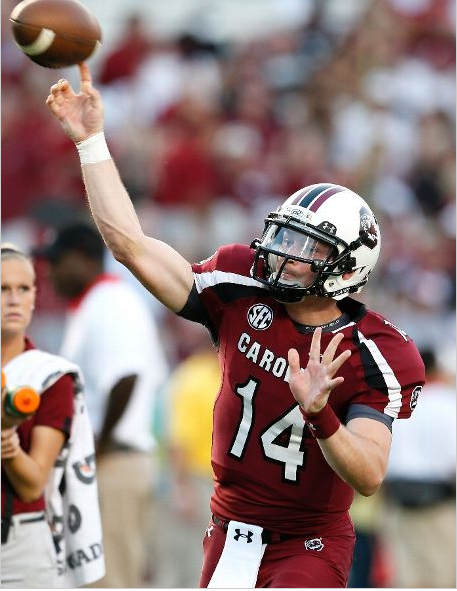 Connor Shaw and the Gamecocks' offense didn't have much trouble moving the ball on their opening drive as they take 7-0 on a 20-yard touchdown reception by Bruce Ellington. Shaw On Shoulder: "Pretty Much 100% Right Now"
The Gamecocks quarterback says his right throwing shoulder, which suffered from a hairline fracture, is almost back to feeling 100%. Shaw says the only time it hurts is the day after the game, but that's it. 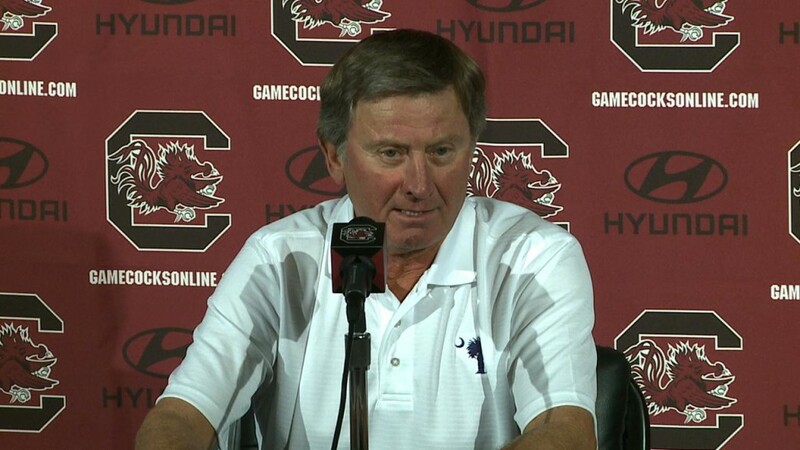 Head Football Coach Steve Spurrier spoke with the media on Tuesday during his weekly press conference. Here are some of the things he talked about. 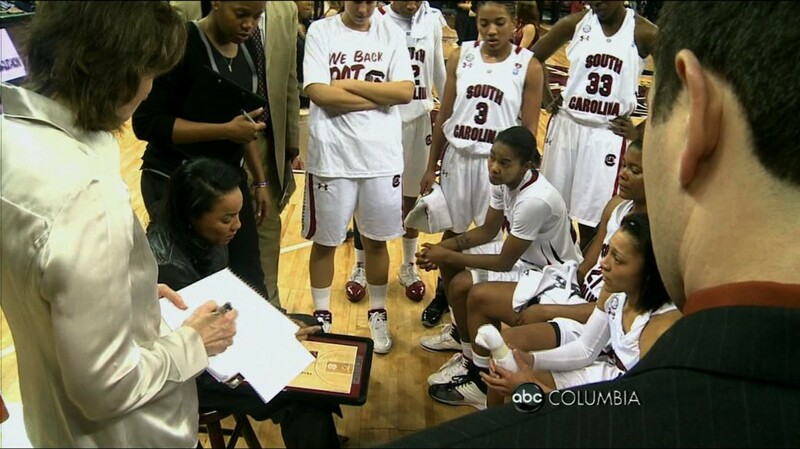 The Southeastern Conference Tuesday announced its 2012 women’s basketball conference television schedule, which includes five South Carolina games among the 58-game regular-season package that spans four networks. 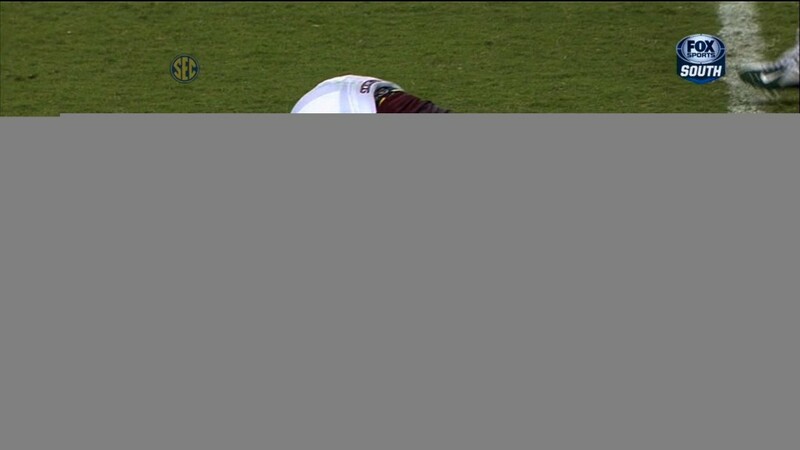 The SEC suspended USC safety D.J.  Swearinger for the Missouri game. 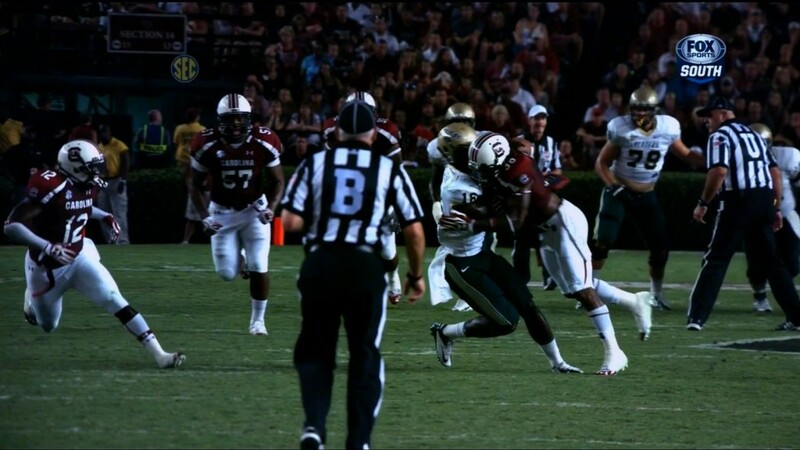 The suspension is the result of a third quarter hit in the UAB game. 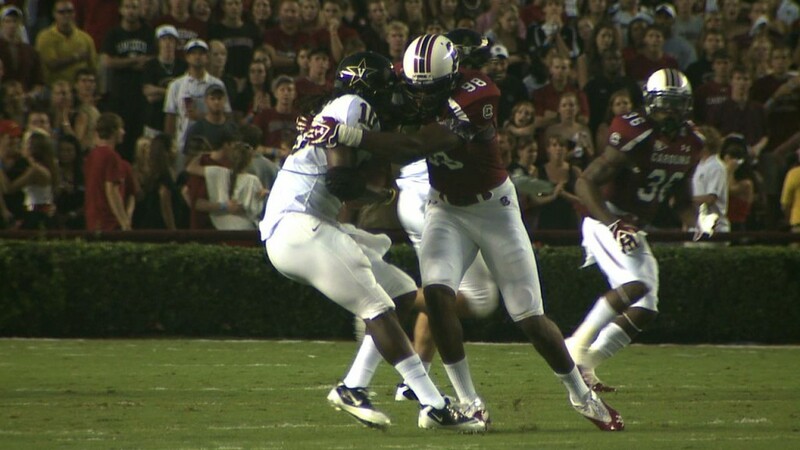 The SEC has ruled Swearinger targeted the head or neck area of a defenseless opponent. South Carolina sophomore Sabrina D’Angelo earned a career-high nine saves to weather a second half wave of attack, but No. 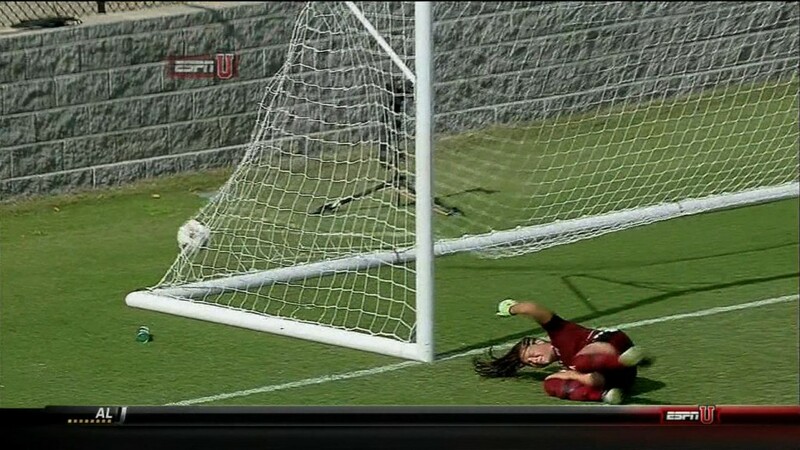 17 Missouri was able to earn the game-winning goal with two minutes remaining to defeat the Gamecocks, 1-0, Sunday in match that was televised nationally on ESPNU. Steve Spurrier is expecting starting quarterback Connor Shaw to be ready when Missouri comes to Williams-Brice Stadium for a 3:30 p.m. EST kickoff this Saturday. 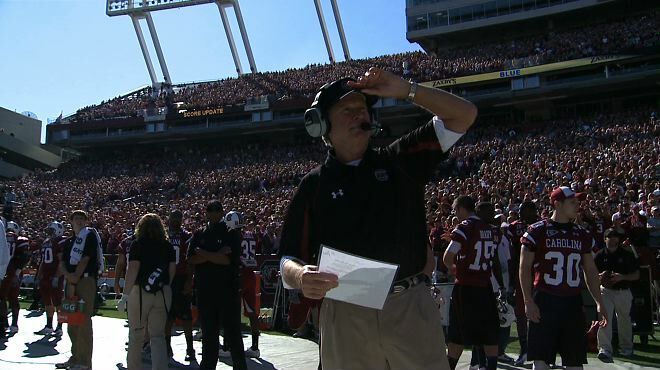 The #9 ranked South Carolina Gamecocks open their home portion of the 2012 football season. 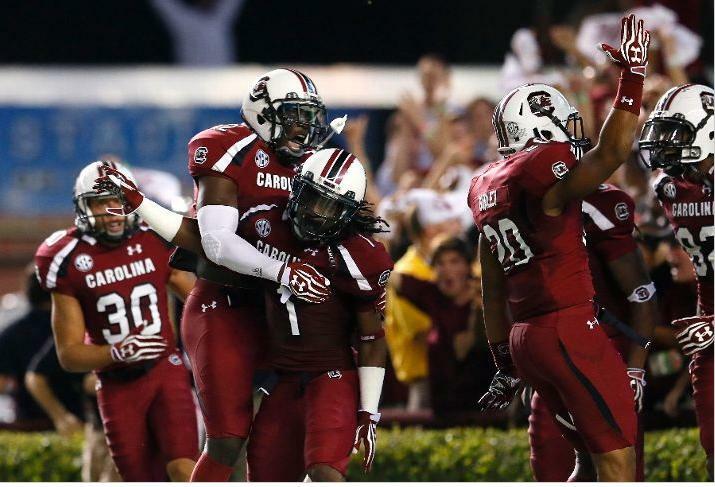 The Gamecocks will play ECU this Saturday, September 8 at 12:21 p.m. at Williams Brice Stadium. What does history suggest for the Gamecocks? 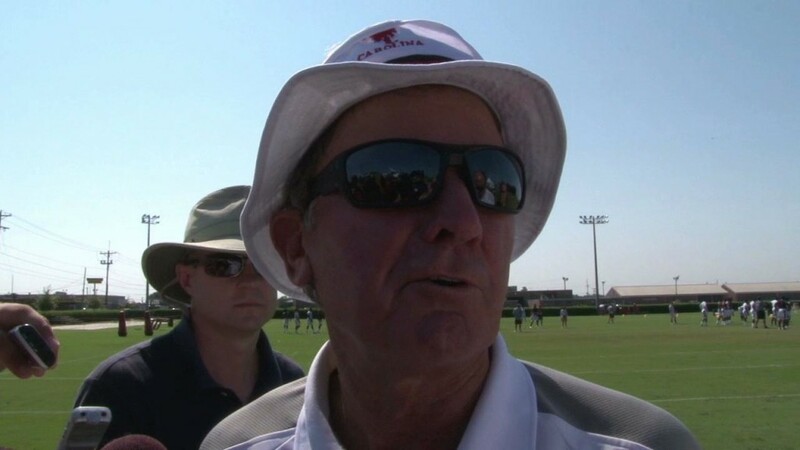 USC head football coach Steve Spurrier knows all too well not to overlook the team's next opponent. 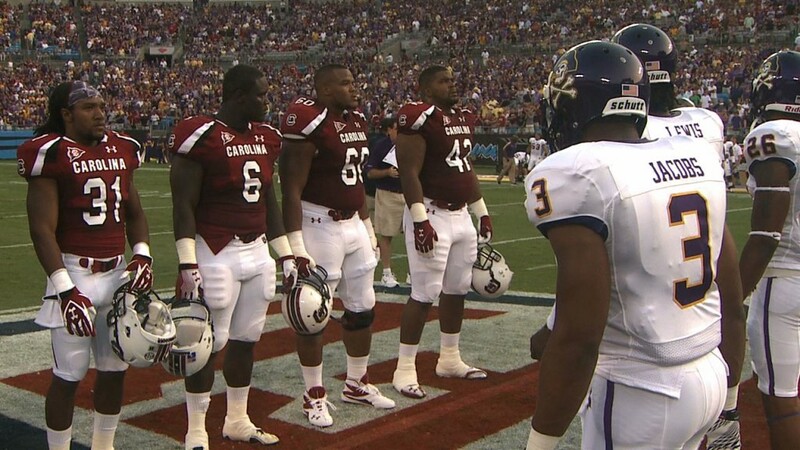 The Gamecocks will host East Carolina as they open their season at home Saturday. 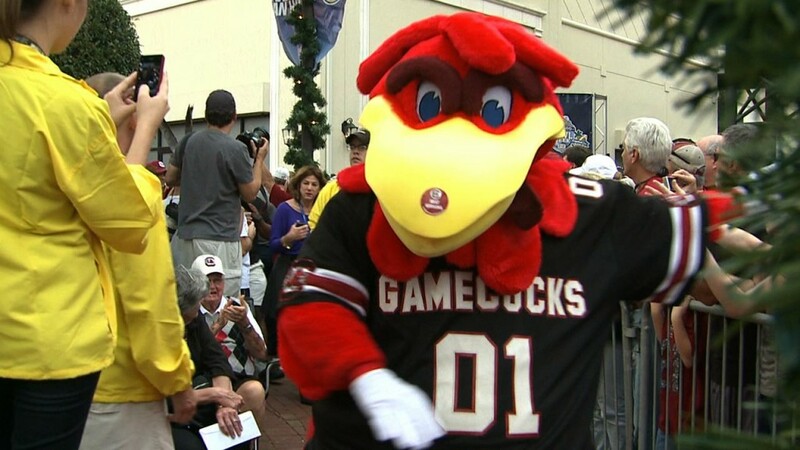 The Gamecocks' beloved mascot, Cocky, is once again competing in the Capital One Mascot Challenge. 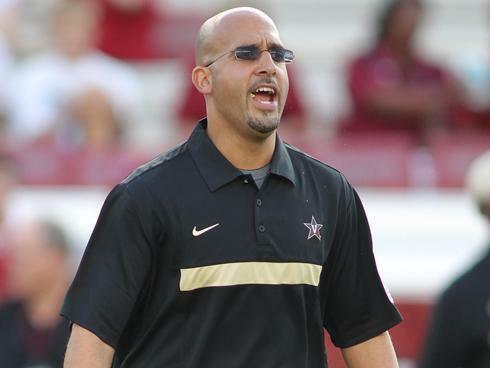 Vanderbilt coach James Franklin says he heard from the Southeastern Conference office 15 minutes after his Commodores left the field with a 17-13 loss to No. 9 South Carolina. He’s not saying what he was told about the lack of a flag on an obvious pass interference that ended the Commodores’ bid for an upset. 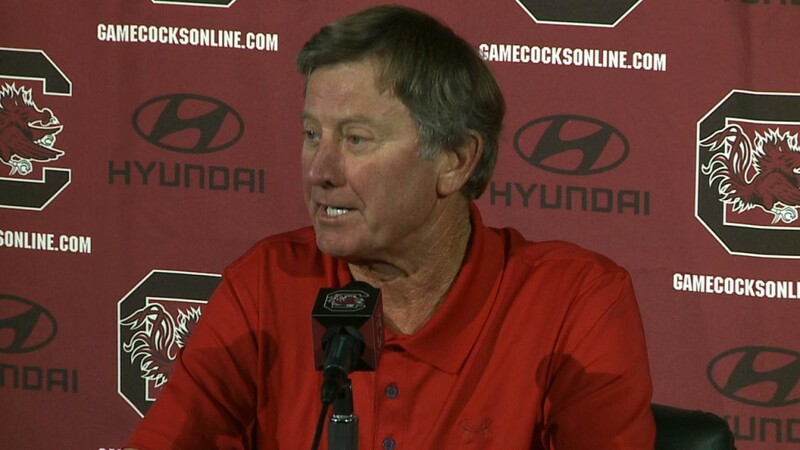 South Carolina head football coach Steve Spurrier held his first game week press conference of the 2012 season. It was held on a Monday instead of the normal Tuesday schedule because the Gamecocks play Thursday. 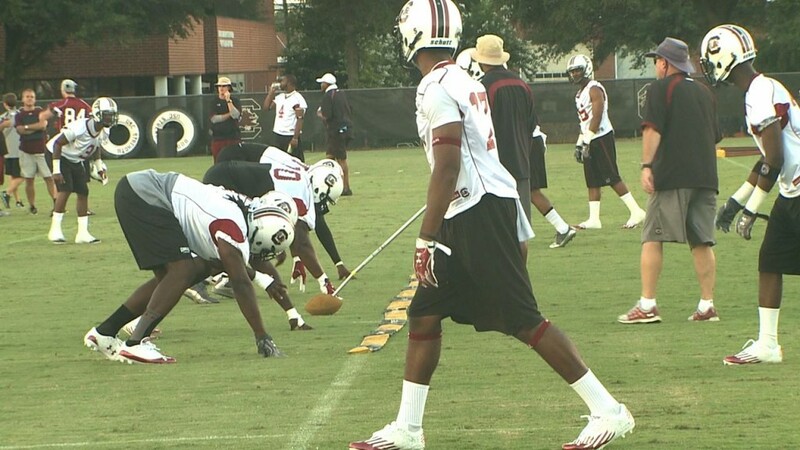 The Gamecocks returned to the practice field Saturday just five days away from their season opener. One week from today, the #9 Gamecocks kick off the 2012 on ESPN at Vanderbilt. Last year, the Carolina defense dominated the Commodores, holding Vandy to just 77 total yards en route to a 21-3 win in Columbia. 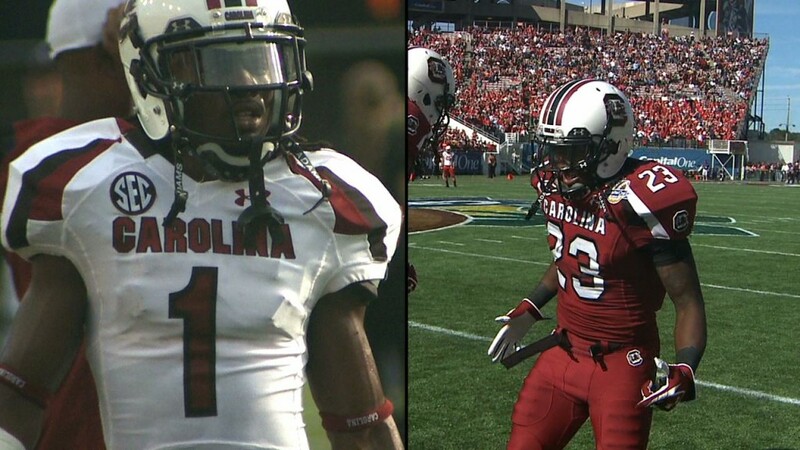 Former Lexington High School All-American Shaq Roland knows Gamecock fans are expecting a lot out of him this season. 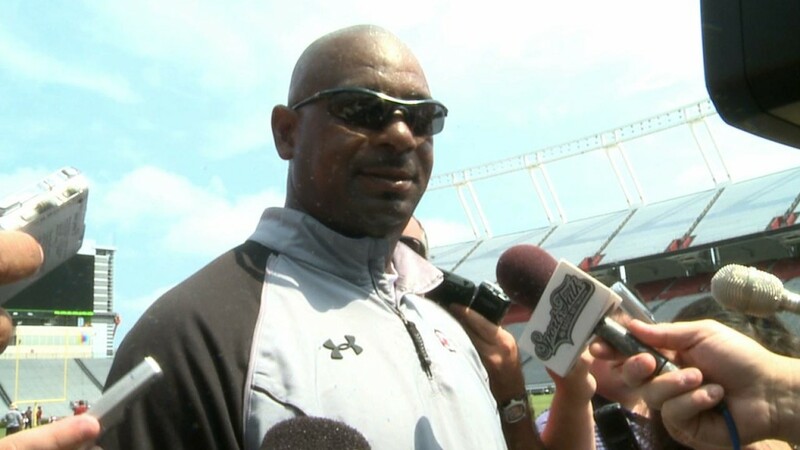 Roland hopes he can live up to those expectations and then some when USC football kicks off the 2012 season at Vanderbilt August 30th. 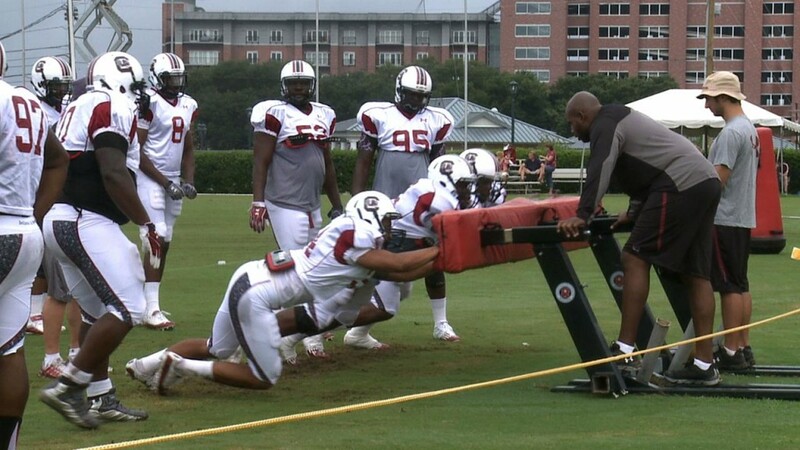 The University of South Carolina football team worked out in full pads and weathered intermittent rain showers Tuesday morning. The practice at the Bluff Road practice fields lasted a little over two hours. Ward says 12 days away from the Gamecocks season-opener at Vanderbilt, he is pleased with where the defense stands at this point. 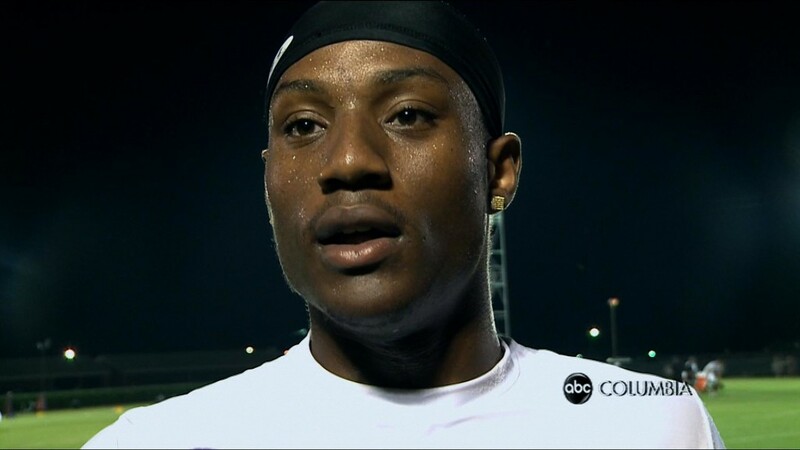 This week saw the return to the practice field of USC senior cornerback Akeem Auguste. Auguste has been hampered throughout camp with a groin injury. 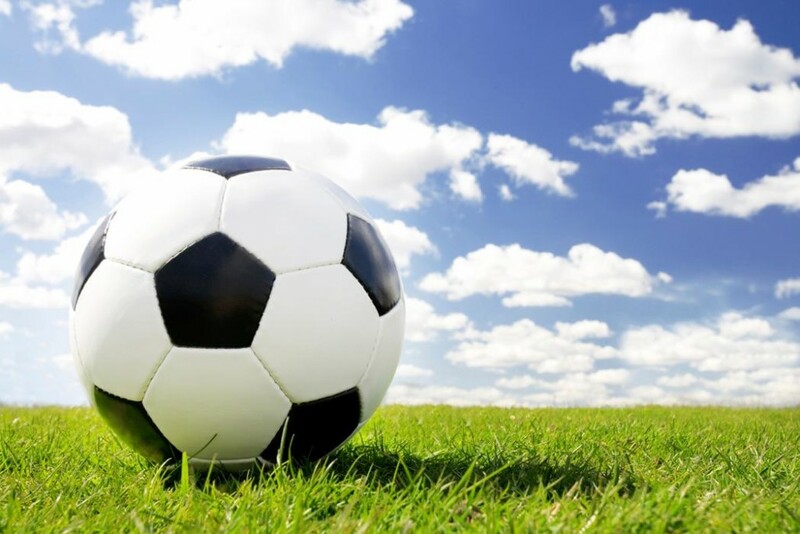 The South Carolina men's soccer team utilized nearly its entire team to earn a 6-3 victory over visiting Georgia State in an exhibition contest at Stone Stadium on Tuesday night. Sophomore midfielder Braeden Troyer and junior midfielder J.P. Rafferty both registered two goals to the lead the Gamecocks to victory. The University of South Carolina football squad returned to the Bluff Road “Proving Grounds” Monday morning for a two-hour full pad workout. USC Men's Soccer will host Georgia State in the first of two exhibition contests for the 2012 season on Tuesday evening at Stone Stadium. Sunday is Fan Appreciation Day at Colonial Life Arena. The event runs from 12:30-2:30 p.m. 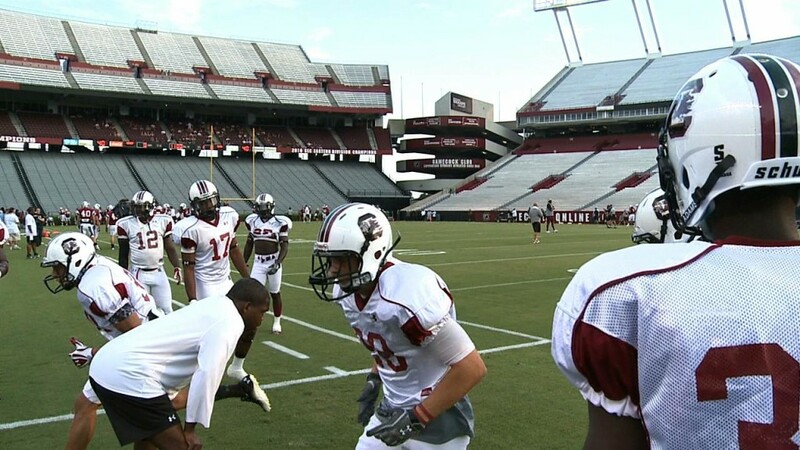 The University of South Carolina football squad went through another two-hour workout Friday morning in full pads as it continued preparations for the season opener at Vanderbilt on Thursday, August 30.